One of the challenges of the Valley is that while there’s an awesome ecosystem that is very supportive it’s also very cutthroat. Not that it’s not competitive here, I just think there is an undercurrent of support in the community of people wanting to see other Canadians be successful – it’s a wonderful environment to start a business with that support network around you that’s really rooting for you. The same buzz that initially lured Mike Katchen to Silicon Valley got him gazing back at Toronto, the city where he’d grown up. So he moved back in 2014 and started low-fee investing platform Wealthsimple, a concept he’d initially come up with when his former business partners had approached him about investment advice after selling off 1000Memories. The spreadsheets quickly morphed into a bona fide platform and those first ten people he sent it to became his first clients. 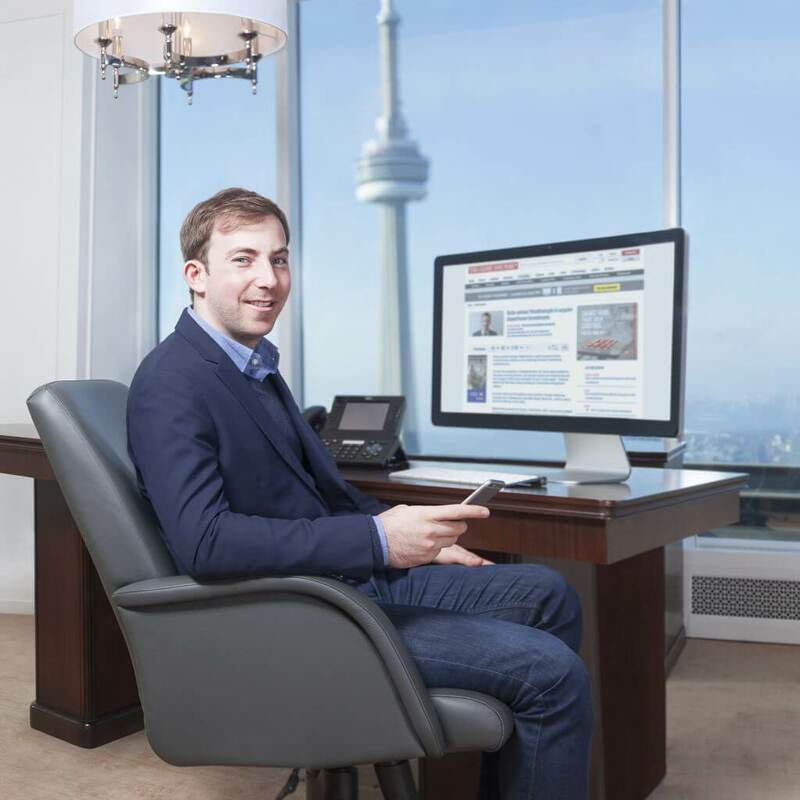 Since then Wealthsimple has exploded, becoming a definitively Toronto success story. And the success shows no sign of ebbing. Toronto, on the other hand, is much less saturated. Michael points out that while Canada has, historically speaking, had its fair share of success stories like Blackberry or Nortel, this is the first time we’re seeing a whole cohort of companies in Toronto like Shopify, Wattpad and Wave achieving that sort of scale. He chalks part of that vibrancy up to the collaborative nature in the city. He also points to tax incentives like the Scientific Research and Experimental Development (SR&ED) program that assist startups and a frothing seed stage investment community. In today’s world, nearly everything has become easier. It’s time investing followed suit. We believe investing should be simple, smarter, and low-cost. Because when it is, we can go about our lives knowing that our financial future is safe and secure. That’s why we created Wealthsimple.